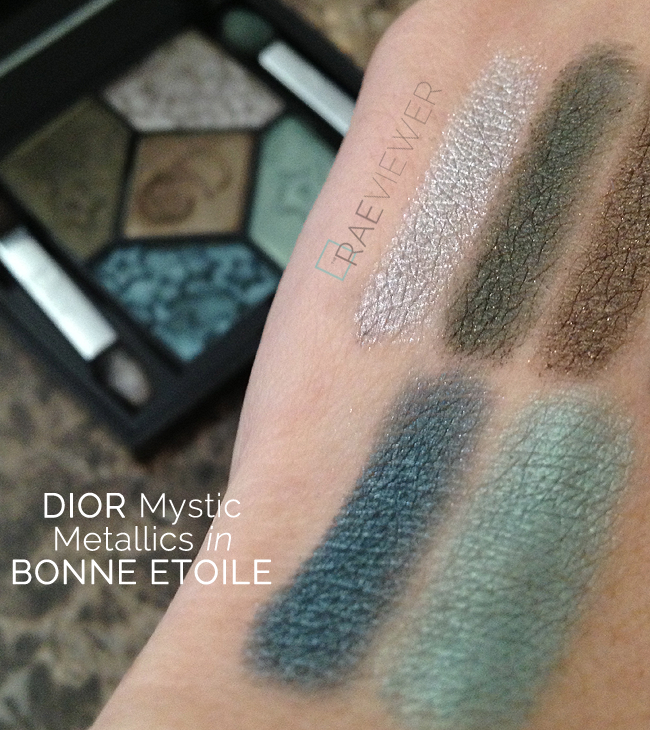 As soon as I laid eyes on the press images for Dior's Fall 2013 Mystic Metallics collection, I knew I had to own Bonne Étoile. 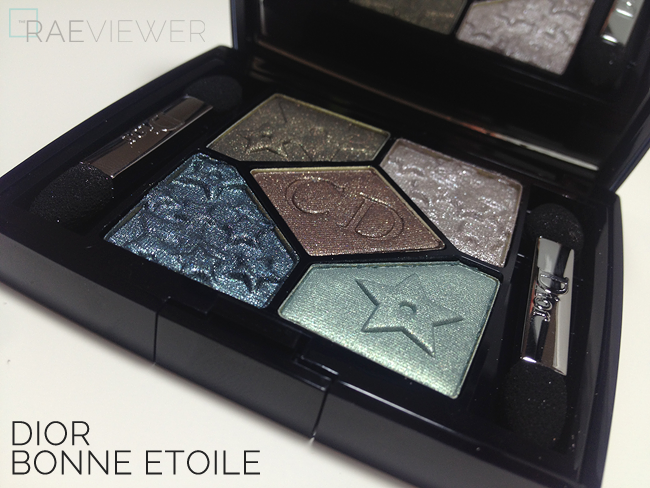 The star embossment is unlike any design Dior has produced in the last several years. It targets the more playful sensibilities, but this eyeshadow palette is a chic take on Fall color. Check out the swatches after the jump! 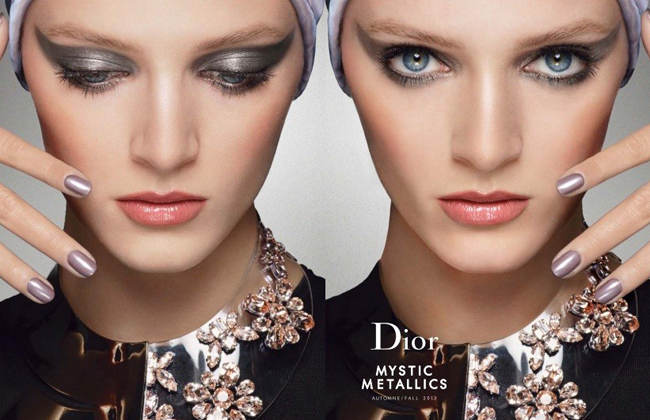 I have mentioned before that my first true designer cosmetics love was Dior eyeshadow. 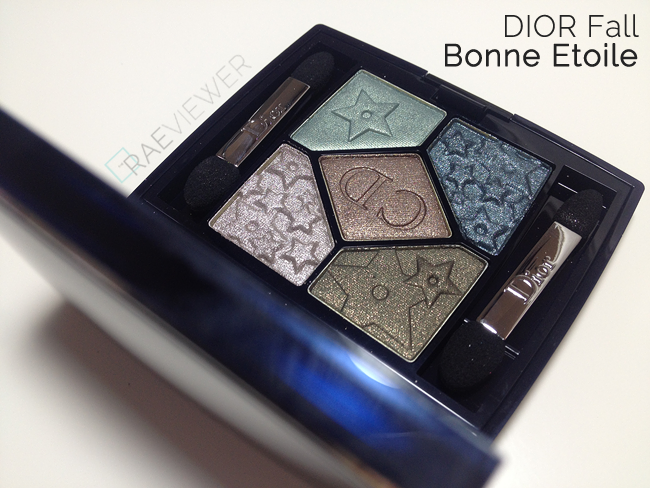 I actually own the most Dior palettes, and that is because I have always been hooked on their performance abilities. 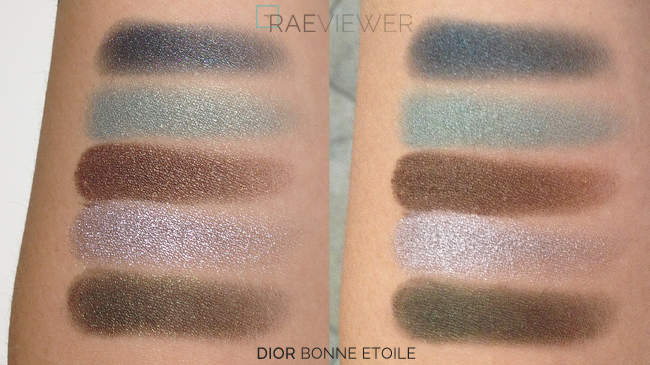 There is minimal fall out with high color payoff even without primer on my relatively normal eyelids, but I have not been floored by any of the Dior's more recent offerings. I felt the color themes were lacking. The "new" palettes had far too much resemblance to quads already on my vanity, most of which were superior in quality as well. That is not true with Bonne Étoile. 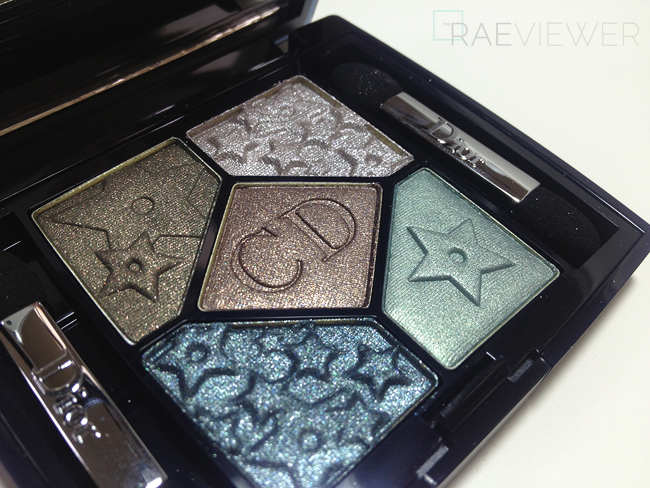 Few eyeshadow palettes will take my breath away nowadays, but this one did. Each of the shades are complex, with lots of variety in the shimmers and finishes. -- The limited edition Bonne Étoile ($61 USD) has only one truly frosty shade which is perfect for use in the inner corners of the eyes. It is a platinum silver with a mauve lean. This is the creamiest, smoothest applying color of the five. -- The pale seafoam green is the sheerest color of the five, but that is expected due to the nature of the shade. I love its dustiness and subtle sheen. I did have to pack this one on the eyes for full coverage color. 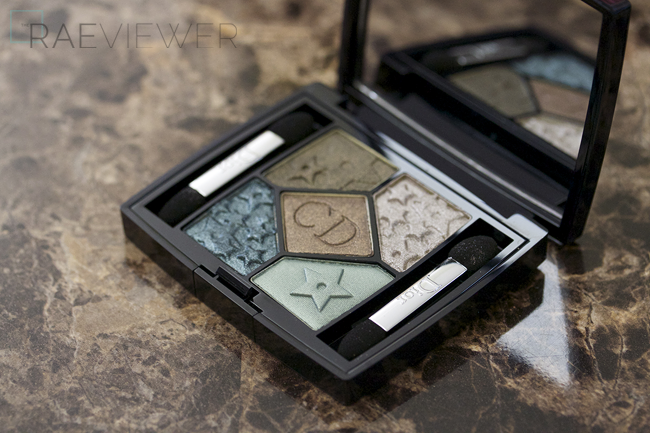 -- Natural light will enhance the slight green tone in the base of the teal eyeshadow. It wears, however, like a metallic gunmental blue on my eyes. This and the silver are the most rich in pigment. -- The khaki swatches like a forest green with lots of gold shimmer in natural light. Again, it tells a very different story when applied to my eyes. It looks like an olive charcoal, very smoky, and the shimmer in this one did not adhere to the skin as easily. I highly recommend wearing an eyeshadow base when using this color. -- Lastly, the medium brown in the center is warmer and brighter than the khaki in the corner. I adore the gold and champagne sparkle that was used to prevent this shade from looking murky or swampy. It layers beautifully and easily. The brown and the seafoam are the most consistent colors in the palette. On my eyes, the colors appear most accurately like the swatches to the above left (taken under artificial light vs. natural light). The swatches were taken with my fingertips as well as the sponge-tip applicators. The shimmer in the eyeshadows is more apparent under fluorescent lighting. 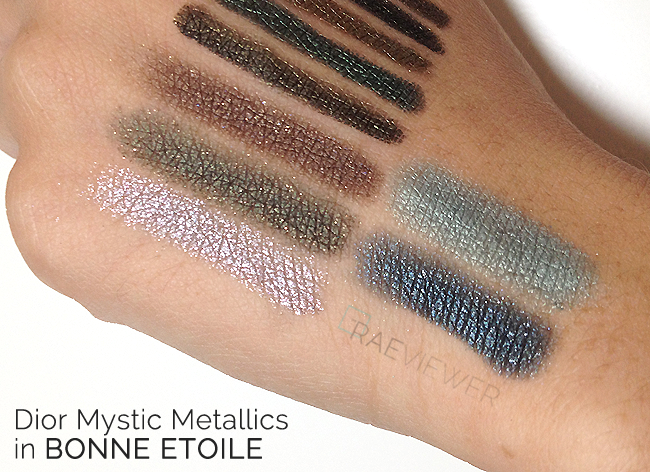 The last set of swatches below includes comparisons of khaki eyeliners, which will be posted tomorrow. My favorite combinations are the seafoam with the teal and silver for a colorful smoky eye or the seafoam with the brown. Obviously, I am partial to the seafoam. 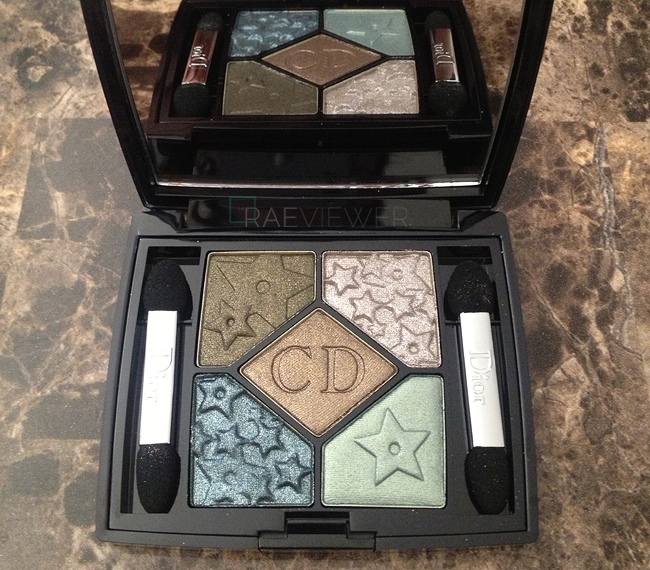 I love that it is sophisticated, not gaudy, as some mint eyeshadows can be. NOTE: I personally think wearing all five shades on the eyes at once can look overwhelming, but I will use the entire palette in the video tutorial so that each color can be seen in action. I purchased mine at Nordstrom, where it will be available exclusively until the end of August. I recommend ordering online during the period of the Anniversary Sale to avoid Nordstrom card drama with misinformed sales associates. I was really shocked when I first heard about Best Things in Beauty's in-store experience with Nordstrom a year or two ago but couldn't imagine anything remotely similar happening to me. Despite my long-standing cardholder status, lo and behold.. yikes. I am very disappointed and from here on out, will order online during the Sale. The shipping is free of charge and the process is hassle-free! 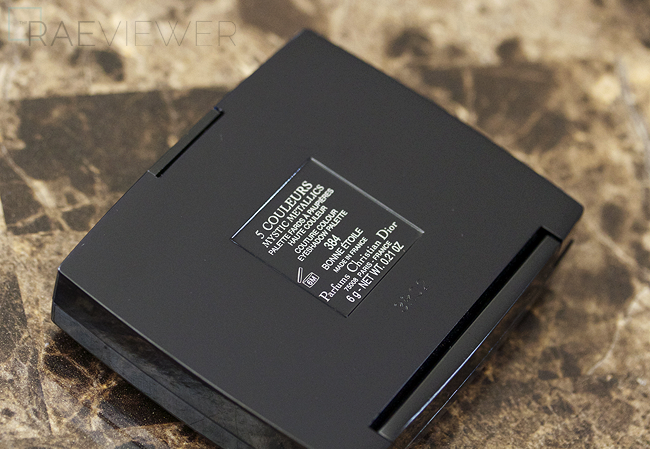 Bottom Line: Dior beauty offerings might been underwhelming in the last year, but this epically wearable 384 Bonne Étoile eyeshadow quint should impress anyone. Looks like I'll be definitely looking forward to your blog post on the khaki liners! Will you be purchasing the other quint as well? Im so torn between them!